A grant was received to plant out 10,000 trees over a 9 hectare area in the Hedley Range to help arrest some serious tunnel erosion. 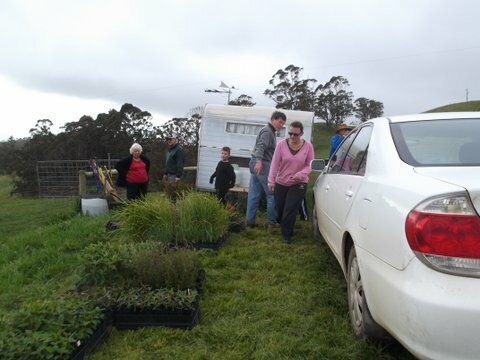 On Sunday 23 September 17 members gathered together to plant 2000 of these trees. Collecting the plant trays ready to take into the paddock. 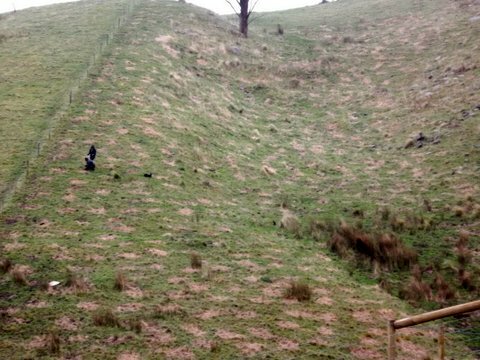 Part of the hillside planted out. 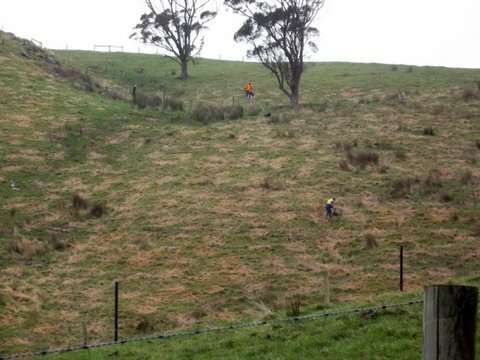 The rest of the hillside planted out.